I am one of those that will love something in a Crafting store and then decide to make it myself! You know the type that stays up on Pinterest all night, searching, pinning making a list of supplies needed. Yep that’s me! So naturally as the seasons change I felt we needed to change our typical centerpiece to something a bit more festive for Fall. 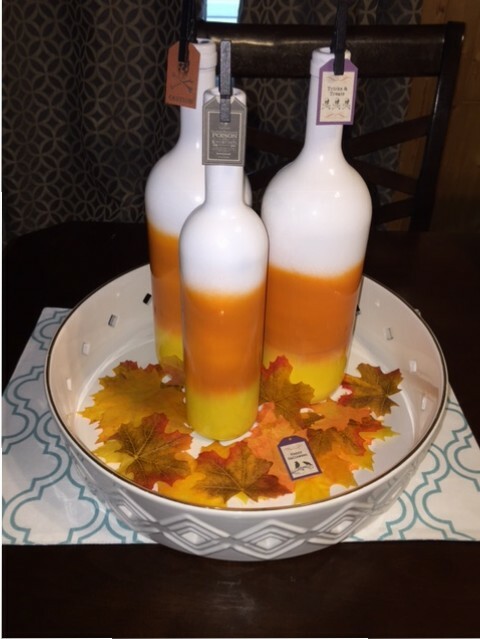 Take a look at how you can re-create my Fall DIY Centerpiece. For starters I know this will be difficult but go ahead and put the littles to sleep a little earlier than usual and crack open that bottle of wine. 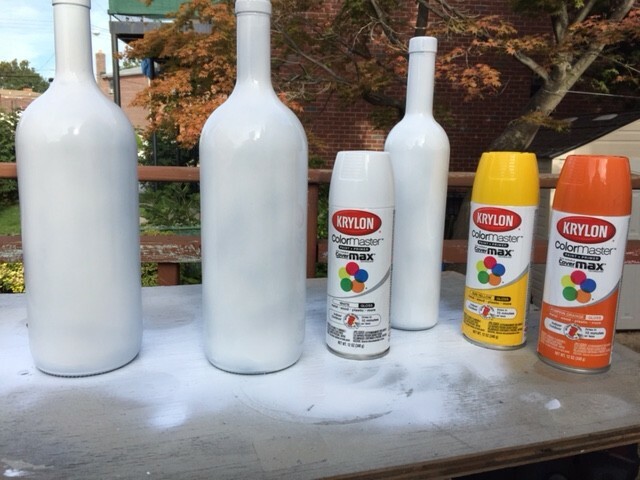 Go ahead, I mean in the name of crafting you will need three wine bottles for this project :). We first removed the Malbec wine labels by soaking the bottles, and then sprayed each bottle with a base white coat. Neurotic hubby went over the bottles again to ensure they were completely covered. 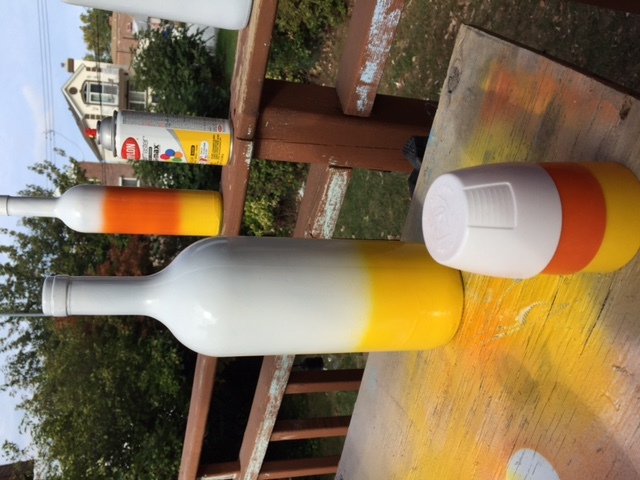 We next sprayed about 1/3 of the bottle with Kylon Sun Yellow. 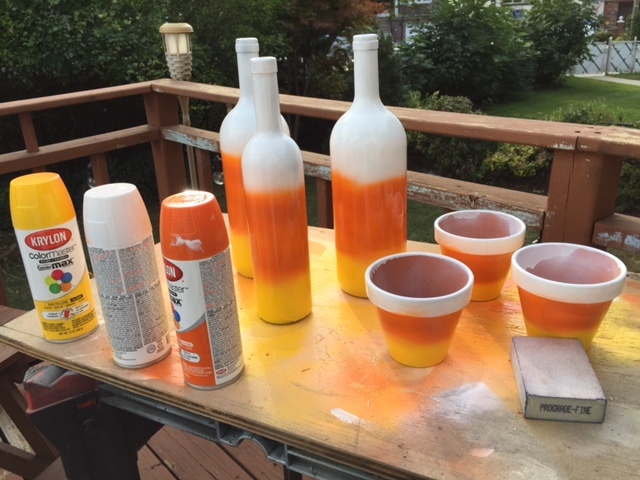 Next we sprayed the middle portion of the bottles orange, the kids of course felt like getting in on the fun and sprayed little planters as well. We may use those for teacher gifts. Once the bottles dried which was a couple of hours we added little Halloween Tags with Black clothespins, and a little foilage (all purchased at Michaels) and arranged all of it together in a Lilly Pulitzer tray we purchased at Target (I’m sure you can find it on Ebay). This was such a fun afternoon project for us to do together as a family, hoping you create something fun with your family as well. Let us know if you do! Well, this is going straight to the top of my to do list! Thanks for sharing, can’t wait to see how some of these look as a center piece in my coffee table. Now, when are you coming by to help me drink at least three bottles of wine? These look great!!! What a wonderful idea!!!! I have some wines bottles in recycling & Matt just brought me some sunflowers… I think they would be perfect to display them. 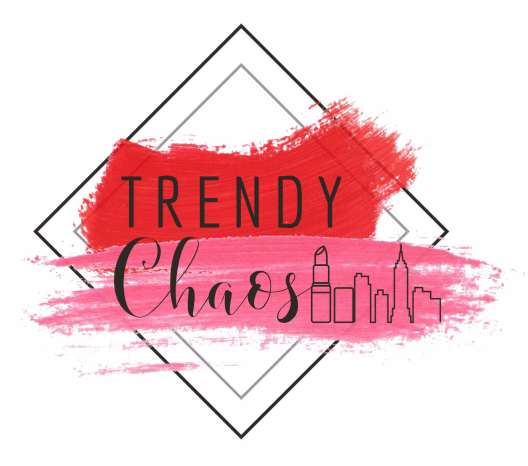 Very stylish & creative!!!! You have me inspired!!! Looks like I’ll be running to the hardware store in the morning for spray paint!! !